Heeft u een vraag voor Kaba Kaba Cottage Resort? Of u nu een toerist bent of zakelijk reiziger, Kaba Kaba Cottage Resort is een uitstekende accommodatie tijdens een bezoek aan Palawan. Slechts 3. Km verwijderd van het stadscentrum, is dit een goede plek voor gasten om te genieten van de attracties en activiteiten in de stad. Dankzij de praktische ligging, biedt de accommodatie eenvoudig toegang tot alle belangrijke trekpleisters van de stad. Niets is te veel voor Kaba Kaba Cottage Resort om het haar gasten naar de zin te maken. Zo biedt deze accommodatie de beste services en voorzieningen. Voorzieningen zoals snel in- en uitchecken, bagageopslag, wi-fi in openbare ruimtes, vervoer van/naar luchthaven, tours zijn direct beschikbaar voor het gemak van iedere gast. Alle gastenkamers beschikken over een variëteit aan voorzieningen. Vele kamers beschikken zelfs over beddengoed, privézwembad, bureau, balkon/terras, ventilator, zodat zelfs de meest veeleisende gast tevredengesteld zal zijn. De accommodatie biedt vele unieke recreatiemogelijkheden zoals zwembad (buiten), duiken, massage, tuin, watersport. Wat de reden van uw bezoek ook is, Kaba Kaba Cottage Resort is een uitstekende keuze voor uw verblijf in Palawan. Read the title, says it all. We knew we were going to stay in a simple place, so wasnt expecting much, but the bungalow was actually a bit dissapointing. Particularly the bathroom, which was very small, not very good ventilation and a bit dirty. Also, even though is somewhat common in the philippines, the WC is one of those were you need to fill it with water to flush it, which is a bit uncomfortable. The floor of the whole bungalow was full of ants, and they kept climbing all over you (I know, its the countryside, but still not pleasent). There is no air con, we knew that, but it was hugely missed. The view from the little balcony was really nice, and there was also a small pool. The cottage has a great view. However we didn't spend much time in the cottage, we were mostly out doing day trips, etc. We visited the Philippines during the hottest season, so the fan didn't really help and not having a toilet that flushes was also quite inconvenient. Had a great time here! Grace and Kevin are the best! So helpful with whatever you need! A little off the main area but only @ a 30 peso trike ride into town. Simple cottages that met your needs. Great value! I'd stay there again! The staff were great and helpful. We enjoyed our stay. Its about 10 min ride to downtown Coron. We had a nice view from our room. From the moment we go there Grace made all things super easy for me and my girlfriend booked boat to El Nido hired a bike from them for the day even recommended something for us to do for the day. The owner was an absoulute champion he Gave me and my girlfriend a history lesson on the way to the port for our ferry onwards.. I would defiently recommend this place to all.. Myself and my girlfriend read great reviews of Kaba Kaba before we arrived and we weren't disappointed. Kevin (English) and Grace (Filipino) were some of the best and funny hosts we've had the pleasure of staying with after 5 months of travel across Asia. Set a short trike trip (PHP40) away from town it's well worth the trade in as the peace and quiet is a rare find compared to many loud places in the Philippines! The big cottage was basic but nice and had a great balcony to relax on overlooking the small pool and beautiful hills stretching out to the sea. I decided to do the discover scuba with Kevin whilst my girlfriend came along on the boat to snorkel. The price was fair compared to many dive shops and even better as it was just us out on the boat. Kevin was a brilliant, experienced and knowledgeable instructor and we even dived the amazing baracuda lake on my second dive, safe to say I'm now hooked on diving! Grace was always chatty and helpful organising our island hopping trip and only recommending the companies she can personally vouch for. We also had a few lifts into town for free which was nice. Breakfast was delicious with fresh bread and only PHP150 each. The only constructive criticism I could say about Kaba Kaba would be that the room could be cleaned, bin emptied etc. 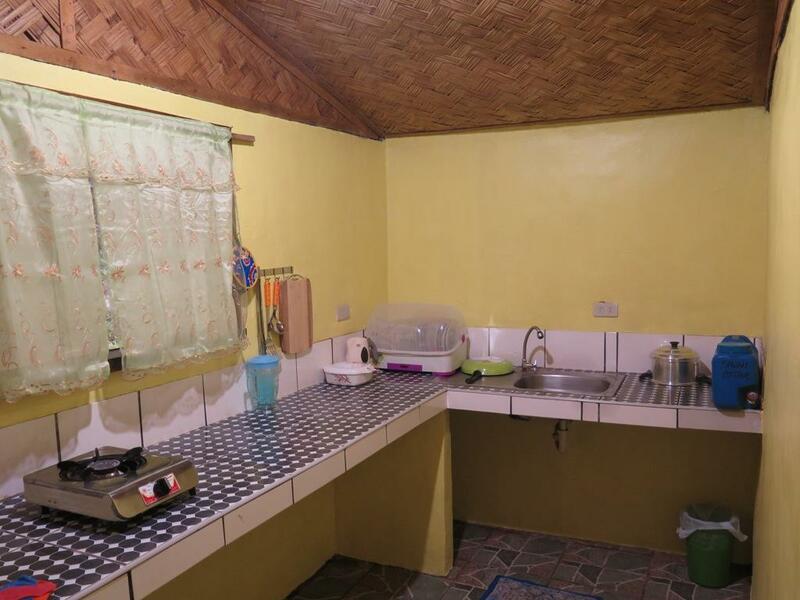 after a couple of days stay, other than that this is the perfect place to stay on Coron if you prefer the peaceful life away from town with exceptional hosts. Thanks Kev, Grace and family! Loved my stay at kaba kaba.Kevin & Grace were the perfect hosts-even started to feel i was part of the family instead of merely a guest! 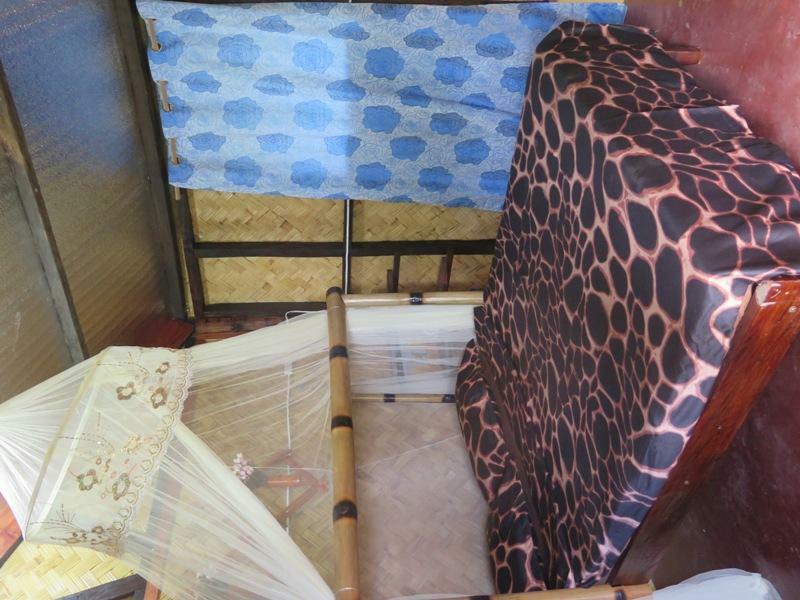 Kaba Kaba is about a 50 peso tricycle ride from coron town and by far this is it's best asset as most hotels in coron open out into the main street. I will be definitely returning to kaba kaba and look forward to diving on the many wrecks located there with Kevin.See you soon guys! I had an amazing stay at kaba kaba. It's always quiet and peaceful. The owners are always ready to help for planning some activities and tours. If you want to get in town, it's pretty easy to catch a ride With a tricycle along the road in less than a minute and it's cheap. Kaba kaba also provides you good breakfast and drinks for good price. You can also rent a motorbike or as for private ride. If you like simple things, friendly People, comfort and quiet places it's the perfect place for you. The owners Kevin & Grace.. View from the room.. Quiet location..
We were given a room with 2 singles despite asking for a double. The place is a LONG way out of town, you don't really feel like you are staying in Coron. The rooms are hot, damp and uncomfortable, nothing was clean, the 'bathroom' was a room with a glorified hole in the ground. The owners, couple, spend their entire time bickering and arguing loudly in front of everyone and it is super uncomfortable. It is not only far, but also far off the main road up a dirt and gravel track that is almost inaccessible. Most modes of transport refuse to go up there which after spending 150 pesos on a tricycle (a quarter of the night's accommodation each way) you still have to walk a few hundred metres up a steep hill. 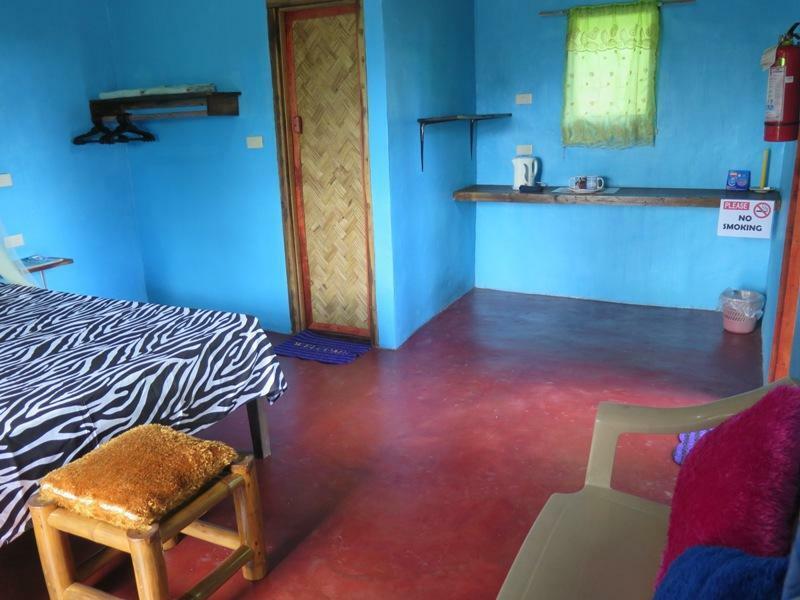 I would much rather stay at a clean, comfortable place with air con in town for 1000 pesos which is what all my friends did and were really happy. 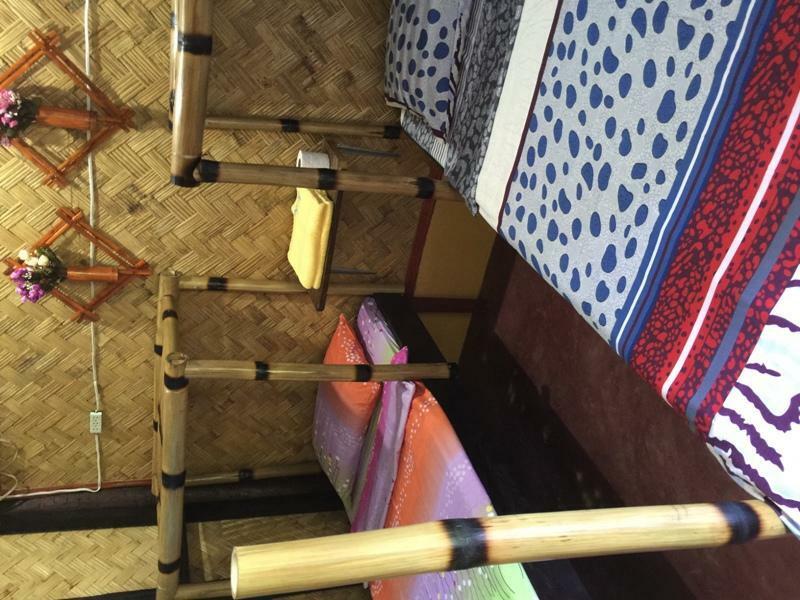 If you want to experience how it feels like living in a traditional Filipino house, you may consider Kaba Kaba Coron. It's very homey, quiet & relaxing. You will enjoy the nature sounds during late afternoon until morning. Be surprised to see unusual birds, squirrels, monkeys & geckos! :) The owners, Kevin & Grace were really cool & accommodating. We'll surely miss this place! I was received with a warm welcome, a huge amount of great information of what to do and where to go in Coron. enthusiastic about hosting and about sharing information on the area as well as helping out wherever necessary. They are very friendly, concerned hosts, the rooms are tidy and clean and it was a great pleasure to stay at their place. As it is located outside Coron, you might want to go there if you want to escape the bubbly Coron city life. Very relaxed happy place. We had a good time here. It is a bit out of town but that really suited us. It is on top of a hill so you get a great view and at night the stars are fantastic. Kevin and grace the owners are very friendly and knowledgeable and will try their best to ensure you have a good stay. The accommodation is simple, clean and comfortable. For the price can't complain at all. We had an amazing time at Kaba Kaba. Grace and Kevin are the ultimate hosts, going above and beyond to ensure their guests are happy and comfortable. Its located in the bush about 10mins on a tricycle from the town. This means that it offers you peace, quiet and nothing but the sounds of nature at night. If you like the outdoors and value your sleep after a long day of exploring, its perfect. The town is a quick ride away, they also offer a pick up/drop off service if required. The bungalows are great. They have balconies which all offer an amazing view of Coron. They don't have a full kitchen and only offer breakfast, but its a really awesome home cooked brekkie with fresh bread. But the absolute best thing about this place are the hosts. They made us feel so welcomed and really provide you with the right atmosphere to relax and also make friends. We ended up spending our whole time at Kaba Kaba with the other guests and also Kevin/Grace. It was like a little family. My boyfriend was really unwell during our stay and they were a real support to me during this time by making tea and taking us to see the doctor. I can't thank them enough for the amazing experience, wish we never had to leave. I highly recommend Kaba Kaba!! !